The new Lookbook of British designer Ally Capellino. Introducing her new Spring / Summer 2015 collection of mens and womens bags and accessories. The Beautiful Lookbook show by Agnes Lloyd-Platt is color cornered and gives a simple but yet very visual and effective image. A mix of portrait and still life on pastel backgrounds. For the shots they had a collaboration with Glasshouse Salon, creating a nice combenation between still life and portrait. Creative Director Karl Lagerfeld created a new film to show the new collection of CHANEL shown on December 2nd (today) in Salzburg. Getting Pharrell Williams and Cara Delevingne on board to play Emperor Franz Joseph I and Empress Elisabeth Joseph. This new short movie was the perfect collaboration for Karl Lagerfeld and Pharrell Williams. The “Happy” singer wrote the lyrics to “CC the World”, the soundtrack of Reincarnation, a song he sings with Cara Delevingne, the face of the upcoming campaign of the Paris-Salzburg 2014/15 Métiers d’art collection. Less than a week ago the singer Stromae, the artist name of the Belgian Paul van Haver, shows his first unisex clothing collection and within that week the collection is almost sold out. A Brussel located store “Hunting & Collecting“, where the collection is exclusively sold, is already out of stock! 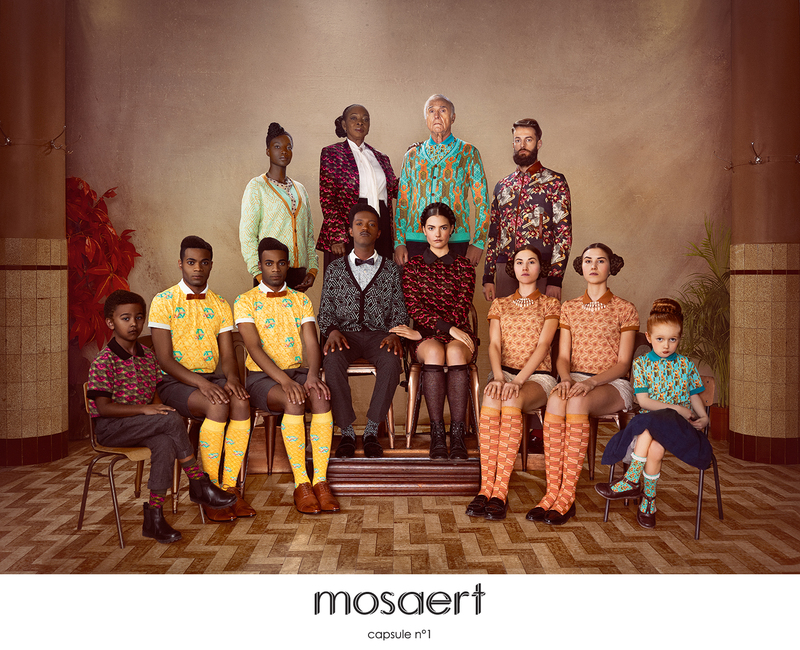 Together with some creative people, like stylist Coralie Barbier and Boldatwork (creative support for publishing & new media) and his label Moseart, he created this collection. Consisting colorful polo’s and socks with African prints, like the garments that Stromae likes to wear on stage. The only way to buy his collection is by the website of Mosaert or the website of Colette, but be quick cause they are low on stock! The next collection in already in the making, but not jet known when this will be available. The new lookbook of the Spanish fashion brand ZARA for their Spring / Summer Men collection. Beautiful Black and White pictures focusing on the sports and streetwear, Bombers, half mast pants and nice cutted jersey Tees. Amazing new collection of VFiles – READY TO WEAR! – . Also with a message: FEAR!